Illustrating jewelry for display purposes is a powerful tool to have available. 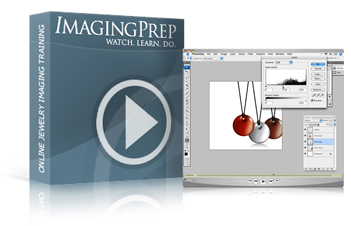 Develop product, share ideas, communicate with manufacturers, and create images for display. Tiffany.com currently has great jewelry images on the homepage of their site. We recreate the image and explain 16 steps to emulate the same process and discuss the approach to retouching and other similar projects and goals. A Tiffany photo look is easily achievable in minutes without a complicated lighting or camera setup. How do we prove this? We used a Nikon Cool Pix 8700, hot lights, diffusion paper, and black cards. The result: a solid "branded" look that took minutes. Email blasts get sent out every day from all different types of jewelry businesses. Many of the emails that people get feature 2 things: a piece(s) of jewelry and a model wearing the jewelry. What is often butchered is the combining of the model and the jewelry. 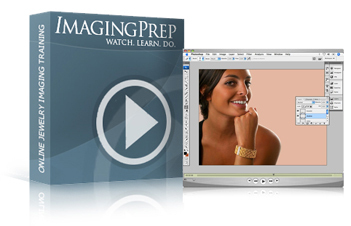 This lesson covers how to successfully Photoshop jewelry on to a model for ads in print or web. 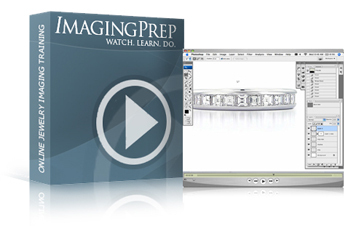 Learn about using the warp tool and how it can create company & personal engravings. 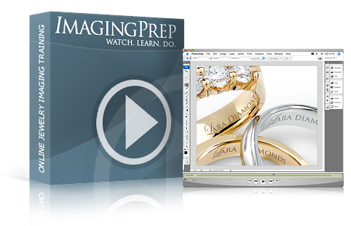 See how the warp tool can be a powerful tool for enhancing and retouching jewelry surfaces and textures.